This is an interview session of Justin Sun with Lu Yu on the show — A date with Lu Yu. 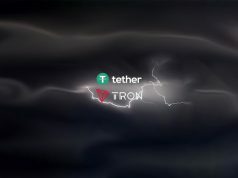 Justin Sun is the founder of TRON, a blockchain-based open-source platform for the global digital entertainment industry. He is the only Millennial student of Hupan University founded by Jack Ma from Alibaba. 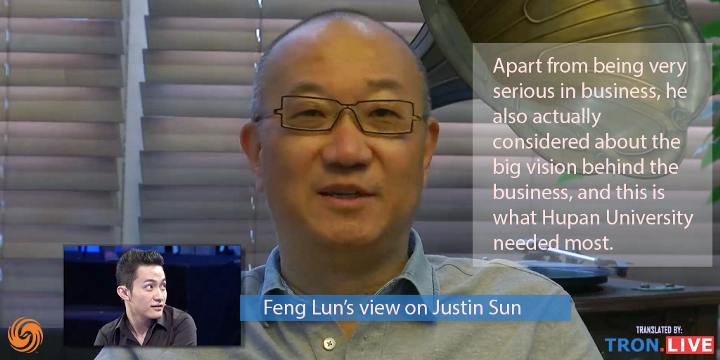 This interview talks about Justin Sun in his early years before he entered the University. Here’s a brief introduction of the characters in the show. 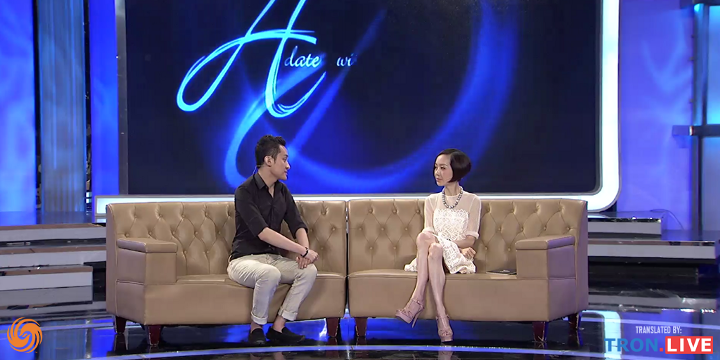 Chen Luyu: Chinese journalist and talk show host with Phoenix Television. She has been described as “China’s Oprah” owing to the popularity of her talk show. 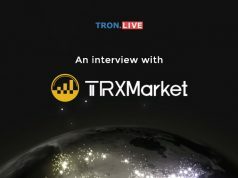 Sun YuChen: Justin Sun — Young entrepreneur, founder and CEO of TRON Foundation. Feng Lun: One of the interviewer of Hupan University (a highly selective school for entrepreneurs). Chen Luyu: Let me verify with you to see if these few stories are true? They said that during your schooling, for example, you tried to resist the examination system by answering English exams in Chinese. Sun Yuchen: Yes, yes, this is the case. Chen Luyu: For history exam, if the answer is a bad character, you would write the teacher’s name? Sun Yuchen: Right, that’s right. In general, opposition will get executed and so on, I normally wrote the teacher’s name. Then, if the answers are leaders of new culture movement for example, that should have been Chen Duxiu, Hu Shi, etc, I wrote my own name. Chen Luyu: Even if you know the answer, you will write it this way? Sun Yuchen: At that time, I was very repulsive to exam-oriented education. Because back then, it felt like I have not chosen anything yet but was pushed to something that I didn’t quite agreed to. So, I used this way to express my protest. Chen Luyu: Your specialty is writing? Sun Yuchen: Yes, at that time. Luyu Chen: Writing composition is particularly good. Sun Yuchen: Yes, I think that my composition was very well written. Chen Luyu: What do you write in your spare time? Writing essays, poems, or novels? Sun Yuchen: I wrote novels back then. Chen Luyu: Did you show it to your classmates after you finished? Sun Yuchen: Yes, I showed it to my classmates. Chen Luyu: Is their feedback important to you? Sun Yuchen: It’s very important. If they think it’s not good, I will burn it and write another one. Chen Luyu: As long as one person said it’s bad, you will burn it too? Sun Yuchen: Erm, this is the case when I’m being particularly strict. Lulu Chen: How much have you burned? Sun Yuchen: At least a dozen of my own novels were burned. At that time, my readers opinions are particularly important to me. If I felt that someone was not satisfied, I would have to burn it. Chen Luyu: At that time, what’s your parents and teachers attitude towards you? Do they think this child is a problematic teenager, or a child that is very smart, a genius? Sun Yuchen: I think I am particularly good, but they think this is not the case. There must be a problem, this is how they looked at me. My dad is probably the only one who thinks that way but cannot bear to give up on me. So, when I participated in the The New Concept Writing Competition, my dad still accompanied me to submit my works. All the way until I’m a senior (grade 12) and he could not stand it anymore. He thought that if I went on like this, I would destroy myself. During that time, I also did two things that seemed to them to be abnormal cognition. That is, I want to enroll in Peking University’s independent recruitment. At that time, they felt that people who couldn’t get on lower standard qualifications still plans to enrol in Peking University’s independent recruitment, isn’t this a waste of time? Chen Luyu: Why do you think you would qualify? Sun Yuchen: At that time, I thought that Qian Zhongshu can enter Tsinghua University with just a writing composition. I felt that my composition is very well too. I would like to be accepted by Peking University with a writing composition as well, so that was my thought back then. Chen Luyu: The New Concept Writing Competition is an important point to you? Chen Luyu: Do you think you will get the first place that time? Sun Yuchen: I was very arrogant that time and I was sure that I will be number one. Even when I got into The New Concept Writing Competition intermediary contest, people were very surprised, but I think that’s just as it should be, right? It just came a few years late. Then I went to Shanghai to participate in the competition. Yes, at the time of participating in the competition, I was just bursting with self-confidence. I felt I could definitely win the first ranked prize. I won the first ranked prize afterwards, for me that time, the best decision was to choose a highly ranked university. Because there were a few top ranking universities on the spot when I won the prize, and they can accept me immediately. Chen Luyu: No need for college entrance examination? Sun Yuchen: Yes, but the requirements of Peking University can only be reduced to twenty to thirty points; however, I chose Peking University without hesitation. Chen Luyu: Why must it be Peking University? Sun Yuchen: During that time, I thought that I was definitely the best. So, when I came back, my teacher and dad were all shocked. Isn’t it a waste of effort to won the first ranked prize. It’s just like winning a 5 million lottery, and then throwing it into the stock market. Chen Luyu: You never regretted it? Sun Yuchen: Yes, I never regretted it. Then my dad asked me what to do? I was very open-minded that time and told him to take it easy, I’m sure I will be admitted. However, it seemed to them that it was difficult back then. Anyway, there were no other ways that time but to only move forward with eyes closed, so they did not stop me anymore. Of course, my results of the college entrance examination were very good. I basically did not make use of extra points and was admitted. The admission requirement for Peking University is 653 points and I had 650 points, so it was only missing 3 points. Actually, my heart was unease before the exam, and I did not sleep the night before. At that time, I was still quite worried and felt that I might not be able to succeed. Looking back today is totally different, so maybe this is the part of life that I didn’t want to go through again. Chen Luyu: No one is willing to put himself back in the state of the college entrance examination. Sun Yuchen: Right, yes, yes, yes. Chen Luyu: But you always know what you want in the future. Sun Yuchen: In my mind that time, Peking University was an exam-oriented education of many talented individuals. My impression of Peking University was there was a pool people who concern about the country and it’s residence. It’s just like what Gao Xiaosong described about those peoples who play an important role to change China’s fate. Although I felt completely different after attending there. Chen Luyu: Is this how you passed through in Peking University? Sun Yuchen: Yea, the days are passed through like this, but not for some others. After I entered that university, day and night I thought about promoting system construction and the like, give feedback when I found there was an inappropriate standard. The reason was not because I’m more obsessed with it, but because I felt that Peking University should be different from others, we should focus on such things. Chen Luyu: Give an example. What kind of things did you do to promote what kind of system changes? Sun Yuchen: To give an example, at that time Peking University’s student dormitories were in disrepair, and there were many problems. Many people may not believe that there were many dorms in Peking University that do not even have air conditioning. The wires were bare and dangerous. There are many student dormitories that were built in 1940s and 1950s. You won’t feel like this is a college dormitory, it’s more like a rental house. Therefore, we wrote a lot of letters and petitions at that time, requesting university for repairment, and it was a tough battle. At that time, the air-conditioner and canteen issues had became areas in which people were bitterly angry, and I took the lead. Then, the university was very unhappy, and took some measures on me, and then I didn’t make a fuss anymore that time. Chen Luyu: What kind of measures they took? Sun Yuchen: For example, they do not allow you to participate in the scholarship assessment and gave a lot of pressure to my girlfriend. At that time, my girlfriend was in the Department of Journalism. The university would talk to her and say that Sun Yuchen was a very bad person, he always had trouble with the university and you shouldn’t fall in love with him. Chen Luyu: Which teacher would say this kind of words? Sun Yuchen: Usually teachers from students’ affair department, who gives a lot of pressure. Chen Luyu: Have you changed afterwards? Sun Yuchen: I didn’t change and got worse. During that time I was a young man, right now, of course I am too, extremely rebellious. Not only I doesn’t converge, but got worse. So later in 2014, there is an outbreak in Peking University. I wrote a lot of articles online. Luyu Chen: I have seen the article about you explaining how should consultation system be. Sun Yuchen: The university wants to categorize each student. However, I think this kind of management method must be problematic. It’s like partitioning humans into different categories, it’s quite creepy. Sun Yuchen: I don’t dare to say that I am encouraging students to create trouble, but I would like to encourage Peking University students to participate in campus affairs. Because in my opinion, Peking University, not to say that it is the pillars of country, but it is indeed an outstanding university, so I think its students should think beyond finding a job and financing a house — for the better good of the country and society. Luyu Chen: Do you think entrepreneurial ability is inherently in you? Sun Yuchen: I think this is indeed the case in my opinion because looking at Peking University’s entrepreneurs, many successful peoples also ever doubt about university rules and regulations when they first entered. Just like Yu Minhong, who also had a demerit from Peking University. I think university should tolerate with this kind of people. This is also an important part of my article I wrote at that time — tolerate with extreme people. Because these people like to bump into rules, people who like to challenge often have a lot of vitality and many innovative ideas. As long as they are guided into the right direction, they will make great achievements. Chen Luyu: Your first pot of gold is earned by Bitcoin? Sun Yuchen: Yes, to some extent. Chen Luyu: Does your family feel that it is reliable to use Bitcoin to make money? Sun Yuchen: At that time, I don’t dare to tell my dad, it’s like investing in a place that is more horrible than the stock market. It was so much money for a poor student to get so much money at once. Chen Luyu: How much is it roughly? Sun Yuchen: 10 million. It was very shocking for a student to get that much money. At that time, I had already taken the law school exam in the United States, and my test score was very high. I could enter the best law school in the United States. But when I talked to their admission officer about the scholarship for example, a $10,000 scholarship, because of certain reason, they can only give $7,000. It was a long argument of few thousands dollars difference and it made me feel like particularly waste of my time. So, I thought that there is no need to study at the law university. If I graduated as a lawyer in the United States, after the tax deduction will yield a hundred thousand dollars a year. In a sudden, I have already earned that much money that was equivalent to working there for 20 years. So I suddenly felt that my life was bright, and I began to move towards a new path. Chen Luyu: You are a person who has not suffered any setbacks so far. Sun Yuchen: There were still some. I had been through a time where I’m lack of money. At that time, I asked my girlfriend to borrow money. Chen Luyu: Is that your Peking University’s girlfriend? Chen Luyu: That one has broke up with you. Sun Yuchen: It was the girlfriend I met when I was studying in the United States. Chen Luyu: When you are studying in different places, there is a girlfriend in a each place. OK, I understand. Sun Yuchen: Yes. At that time, she lent me money because she thought that I was near insolvency and will face bankruptcy soon. So at the end I think this was one of the reasons we broke up, and distant relationship was also another reason. Anyway, I had no money and I felt distress. In fact, after my company launched for some time, I was having some difficulties. Some time after getting the initial investment, the company’s next round of financing was not very smooth. I had to shore up almost 4 million RMB. At that time, the pressure was big. In any case, I didn’t make much money in total. A single project already cost several million RMB, keep shoring and it went back to normal again, from financial freedom back to how it originally was. So, I’m full of pressure that time. Chen Luyu: But this is the most difficult time? Chen Luyu: Since we interviewed YuChen, we also asked about Feng Lun’s views on YuChen, let’s listen to what Feng Lun has to say. Feng Lun: At the time during the interview for Hupan University, we didn’t pay much attention to YuChen’s age. The focuses of the interview were on values, business models, and the relationship of each interviewee including YuChen with other people. When YuChen walked in, he was such a handsome guy, it was not only after he sat down and I asked him about his age do I realized that he may probably be the youngest student of all. What impressed me mostly was when we talked about topics outside of money or about what to do after earning money. His answer gave me a direct feeling that this person is from Peking University. Because he was more excited when we talked about this topic compared to talking about his business model. This reminds me of Jack Ma, who once said that, they must make it easy to do business anywhere. This statement itself is a very big vision. During the conversation with YuChen, it’s things like these that keep me excited. Apart from being very serious in business, he also actually considered about the big vision behind the business, and this is what Hupan University needed most. Chen Luyu: The youngest student in first semester of Hupan University. As you grow up till now, it seemed that there’s no sad memories right? Sun Yuchen: Yes, here is the case. Let’s say my dad which belongs in between 50s-60s, when we both discussed about current affairs, my dad often says that if you haven’t climbed the hill, your opinion doesn’t count. It’s like someone who once been smacked by a stick is more authoritative even commenting in other fields. This is the feeling I have. So I think that suffering is not necessarily a fortune. For entrepreneurs like us, suffering is not something far away. This includes when we attended Hupan University, I felt most people will think Jack Ma’s life may seemed smooth but he faced several huge obstacles before that if the funding is not prepared in time, the company may face the stage of life and death. This kind of situation happened quite often. Chen Luyu: Well thanks YuChen, thank you.